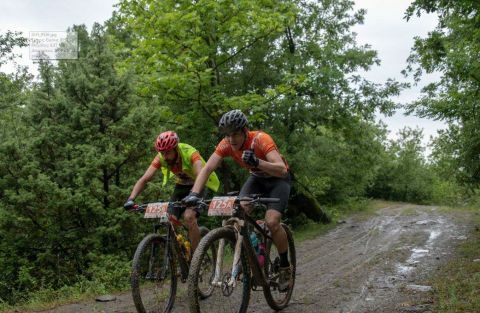 A big turn for Bike Odyssey 2019: All roads lead to Kato Tithorea !! Bike Odyssey proceeded to a big change, as the change of the route towards Kato Tithorea in the prefecture of Fthiotida was just finalized. More specifically, the course of the race makes a big turn after Athanasios Diakos, by heading to Kato Tithorea of ​​Fthiotida. The last stage of the event will take place at the respected area of that community, as it will start and finish at the community of Kato Tithorea, similar to the sixth stage of the race with start and finish at Krikello of Evrytania. Kato Tithorea is a small town in the Prefecture of Fthiotida, built on the eastern slopes of Parnassos. During the last stage of the event, the athletes will come to know some villages in the area of ​​Kato Tithorea, such as Tithorea and Agia Marina, while meeting important sights of the area such as the monastery of Panagia Odigitria, the historic monastery of Agia Marina, the ruins of ancient Tithorea between the houses of the settlement of Ano Tithorea, the cave in which the hero of the Greek Revolution, Odysseas Androutsos, lived and the bust of Philopoimin Finos, one of the great producer in Greek cinema history. Along with the final stage of the 9-days, 4-days South Open and 4-days South UCI race, an extra one-day race will be held, providing the opportunity to those athletes who wish so to get a little taste of Bike Odyssey. In the above context, the last day of the event will initially be closed with the awards ceremony of the General Classification of each race, followed by a huge festival, worthy of the size and importance of the event, giving that way a strong and festive conclusion while completing for another year this one of a kind journey, this modern cycling Odyssey. All finalized changes will be announced here on our website until the end of March, so stay tuned for more developments.